Concussion, the 2015 movie starring Will Smith, showcased the long-term effects of multiple concussions suffered by athletes in high impact sports, tying Boxing and Football together. This movie appeared on the silver screen six years after the governor of Washington State signed the first law requiring high school athletes to be removed from play and practice after a concussion. This law did not allow players to return to their sport until cleared by a medical professional. It’s critical to get concussion treatment in San Diego as quickly as the injury occurs. A concussion is defined as a brain injury caused by a blow to the head or a violent shaking of the head and body. Whether a person experiences one concussion or many, it is generally agreed that the fewer, the better. Make practical decisions to wear your seatbelt while driving, a helmet while in an open-air vehicle (bike, motorcycle, quad, etc. ), and use proper, well-maintained equipment is a first step to protecting your head. You can avoid a concussion by being present, well rested, and better able to react to your environment. What if, in spite of taking precautions, you took a blow to the head? Don’t just “walk it off.” Let your friends and family know and watch for symptoms like a headache, memory impairment, confusion, fatigue, sensitivity to sound and/or light, blurred vision, dizziness, or any other atypical sensation. If you have symptoms, consult a professional right away. The first few days are critical. 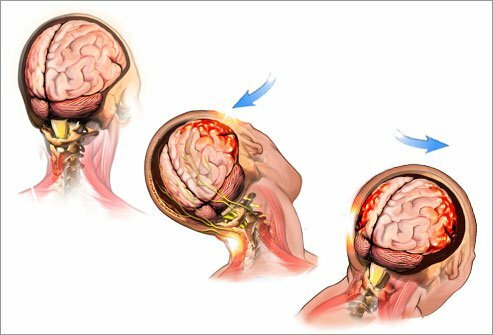 Soon after a blow, seek professional help to take the correct steps that will minimize brain injury and improve healing. Long after the brain has healed, you can have secondary injuries to the spine. The head is like a ball on the end of a spinal cord chain. If the head has been violently shaken, it stands to reason that the spine has also taken some impact. After all, it is impossible to have a head injury without a neck injury! For this reason, follow up with our office for concussion treatment in San Diego. If left untreated, a spinal injury can lead to long-term discomfort and disease. Here in America, we are taking concussions more seriously than in the past. However, our cultural heritage encourages being tough and ignoring injuries. We need to be mindful of this and support coaches, parents, managers, employees, and anyone else who believes that they have suffered a concussion. The stakes are high, stand strong for a family or friend who may be injured. Call 911 if in doubt. Know someone that could use our help for concussion treatment? Pass it on…they’ll thank you for it! Guest Blogger: Martha de Forest is a dual degree engineer and certified integrative hypnotherapist. She has been married for over 30 years and has raised two daughters.